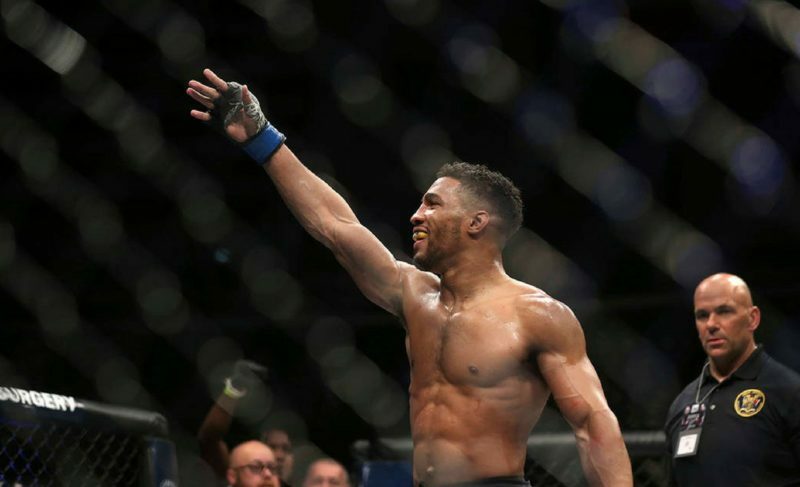 This fight was all about redemption for both Kevin Lee and Edson Barboza. 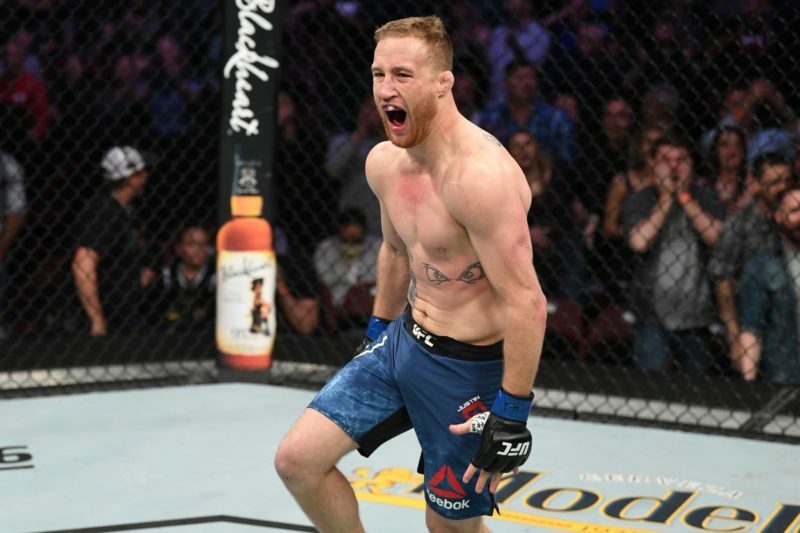 For Lee, it meant getting back into the win column after dropping the Interim Lightweight Championship to Tony Ferguson back in October of last year, while for Barboza, it was his chance to show he is more than just a punching bag for career wrestlers. One was awarded vindication, and the other had his hopes crushed once again. Right out of the shoot, many of the questions about Barboza’s training since his loss to Khabib Nurmagomedov were answered. 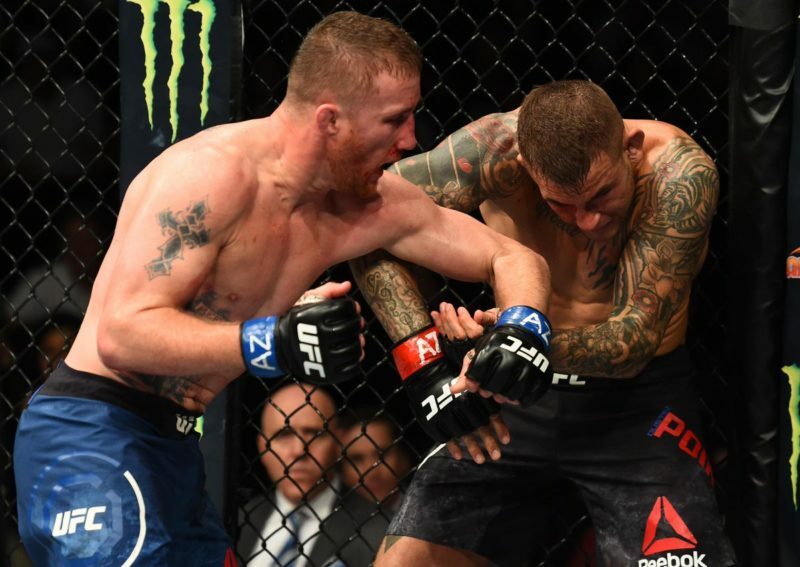 How well would he stop the takedowns of Lee, and on the ground, how had his game improved to both defend strikes and get back on his feet? Within the first minute, it was clear that he had learned very little from his last effort in the Octagon. Lee secured an easy double-leg takedown and kept his opponent grounded for the rest of the round, hammering him repeatedly with fists and elbows. Barboza, sadly, looked like a fish out of water. You can’t kick a man’s leg or his liver very effectively when you’re lying on your back being ridden like a horse and smashed in the face. He was as woefully outmatched as Lee was controlling. Showboating and terrible fashion sense aside, Kevin Lee is a fantastic wrestler. He dominated Barboza from bell-to-bell and returned to his stool fresh, hardly out of breath and looking to get straight back to work. 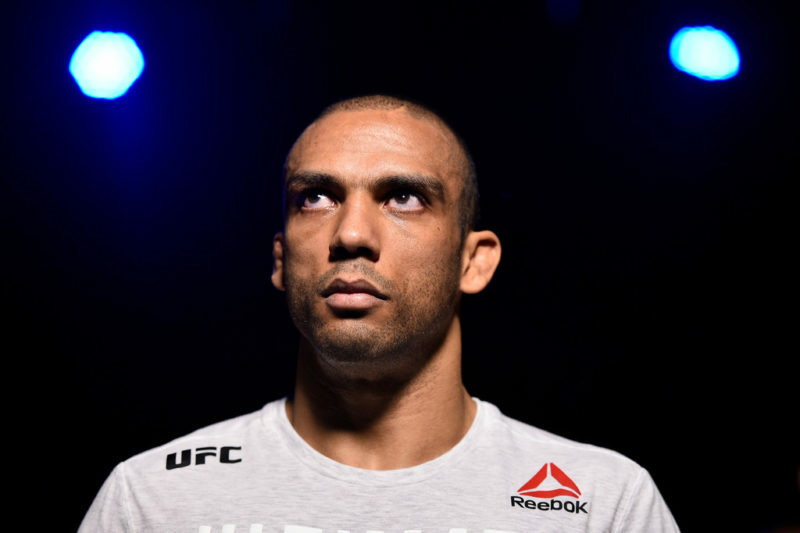 Barboza, on the other side, was wobbling, dazed, and no doubt suffering from an unpleasant case of déjà vu. The second round followed closely the script of the first. Barboza needs space to throw his patented leg attacks, and in the past, the way to beat him was to turn up the pressure. 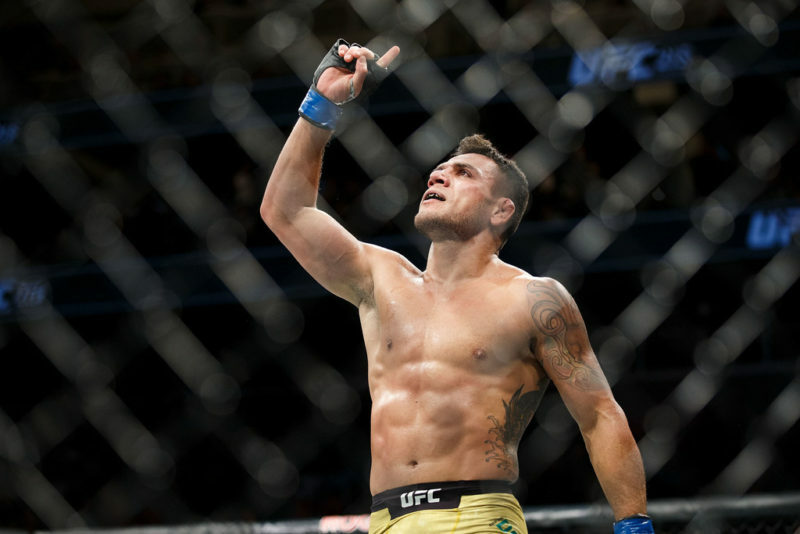 Nurmagomedov, and now Lee, have provided the blueprint for victory against him just as Dos Anjos did to the then unstoppable Anthony Pettis. Crowd him, take him down, and have your merry way with ground strikes until the final hooter. By this point, the fight was an academic certainty. 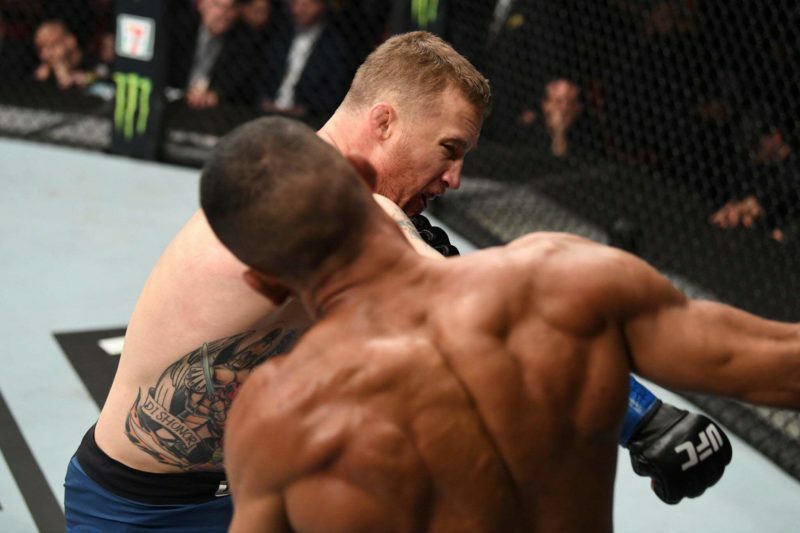 The crowd knew it, Barboza’s face knew it, and so did Lee. All that remained was for him to secure the final takedown and bash his way up the lightweight leaderboard. Strangely, Lee decided to follow Nurmagomedov’s lead once again and try a little striking. 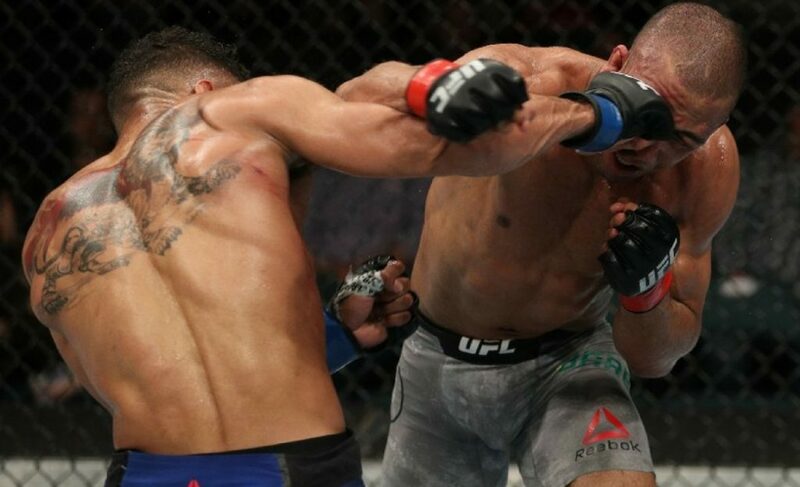 That left the door open for Barboza to shock the crowd with a labored but ultimately successful spinning heel-kick. It landed across Lee’s dome, making him look like he was doing the funky chicken at a barnyard ho-down. Or trying to impress his prom date with his slick new dance moves. Or like a drunk dude looking for his dropped keys. Or like he was fighting off a swarm of angry bees. You could practically see the memes rising off him like steam. To the whole world’s horror and fury, Barboza got his exhausted self tangled up with a reeling Lee and they went to the floor. Lee returned from his trip to the moon, was able to recover, and wrestled (excuse the pun) the fight-train back onto the tracks that he himself had laid down. And that was the script for the rest of the fight. Apart from a few desperate offerings from Barboza, and several hard shots exchanged by both fighters, the end loomed. Barboza’s goose was cooked, and all that was left to do was to take it out of the oven and serve it. Halfway through the fifth, Barboza’s face fell off and the doctor stepped in and handed him his second defeat via complete mauling. Kevin Lee looked fantastic, which begs the question of what happens next. Clearly, Barboza needs to go back and do some defensive wrestling, while Lee can look forward to his next big fight. Just as long as he can actually cut the requisite weight, of course. With Tony Ferguson out for the next nine months because he fell down, and Conor McGregor out indefinitely for kicking his sanity over the neighbor’s fence, the top tier of the lightweight division has been split wide open. 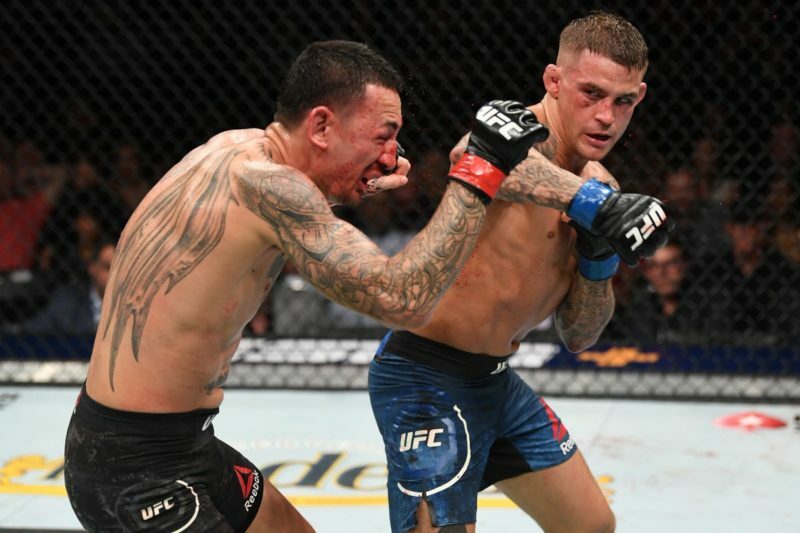 Perhaps we’ll see Dustin Poirier fight for the title next, or a title eliminator with Lee. Who knows? Eddie Alvarez is circling too, don’t forget. 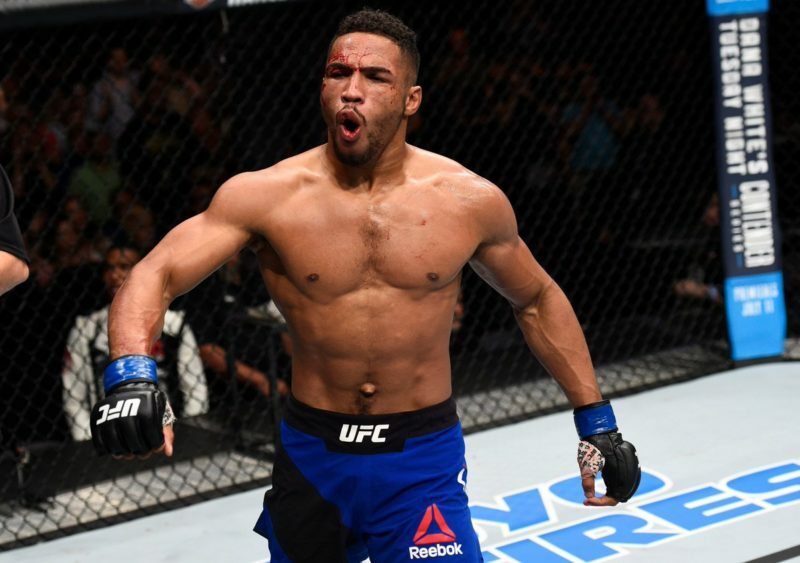 Either way, Kevin Lee has chicken-danced his way right back into title contention with an emphatic and dominant performance.